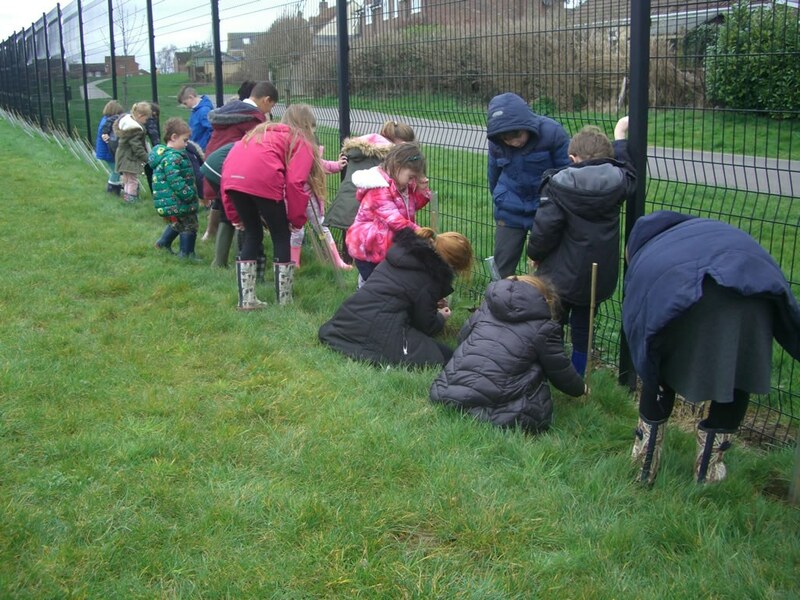 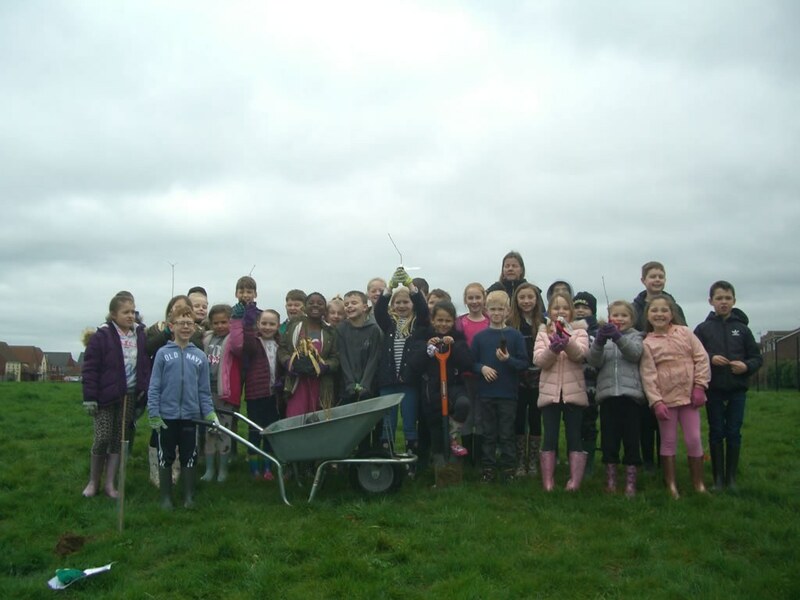 On Wednesday, the whole school took part in planting 420 tree saplings around our school grounds. 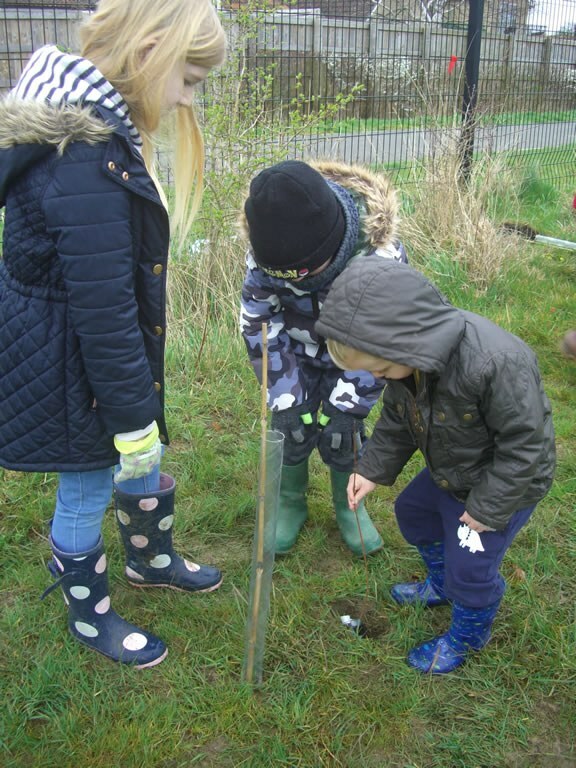 Every child had the opportunity to plant their own tree sapling with Sycamore, Maple and Cedar classes assisting many of the younger children as part of their outdoor learning lessons.The tree saplings, donated by the Woodland Trust, are all native British trees and include hazel, blackthorn, crab apple, dog rose, elder, rowan, hawthorn, wild cherry, silver birch, common oak, field maple and grey willow. 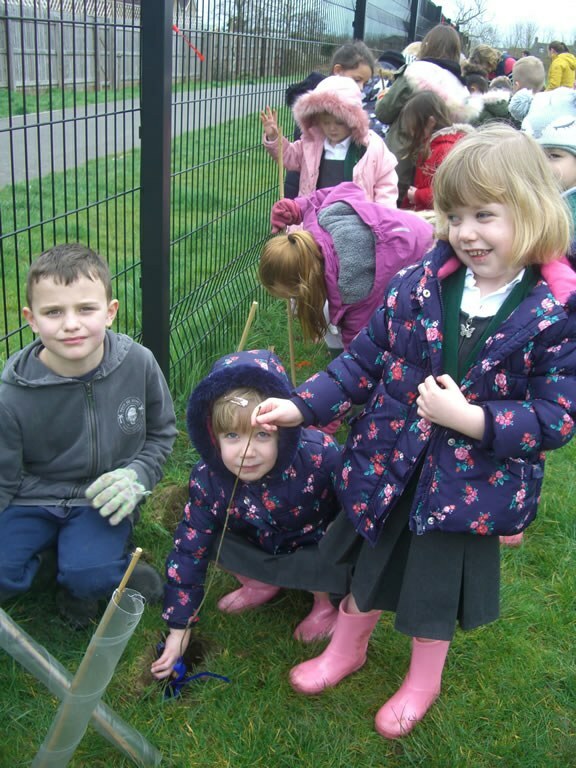 Most of the trees were planted around the school boundary and it is hoped that they will grow to provide a habitat for wildlife as well as shade and shelter for pupils.We are also very grateful to the parents and grandparents who generously gave up their time to help on the day with the planting.